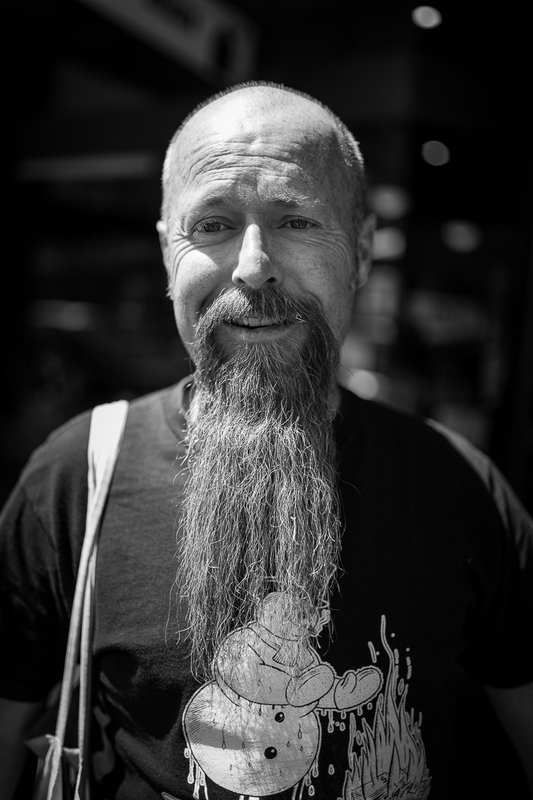 In this series I have taken to the streets of Melbourne looking for people who tell a story. To me, a portrait in colour is of someones clothing, a portrait into black and white is of someones soul. The Portrait I Do Best, Is Of The Person I Know Best is about finding people who stand out to me as individuals and getting to know them, in trying to tell their story though a single image. I started by looking into the idea of subconscious judgment, how as humans we are able to judge people based on even the most simple of aesthetics. Though the development of this project I realised how I was subconsciously judging certain people; they stood out to me as people, that – like me – chose fashion to stand out from everyone else. Through this realisation I developed into this series. Zac is a Melbourne based photographer, studying at Photography Studies Collage, specialising in photojournalism, and commercial photography.